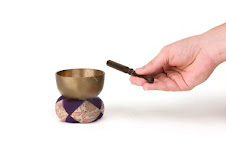 For some reason, lately my musical attention span has decreased. It is probably purely affected by the situations in which I listen to music. Because of this, it feels like my musical tastes have dumbed down a bit, and gotten somewhat more primitive and immediate. Put away the Jazz and Jamband cd booklet, bust out the underground 60s and 70s Rock and New Wave. It kind of feels like in the late 70s, when people started viewing bands like Yes and Led Zeppelin as bloated, self-important, pompous and indulgent, and started favoring the straight-ahead, stripped-down approach of bands like the Ramones and the Talking Heads. Punk and New Wave followed, and much of its sound was taken from both the mindless teenage surf-sci fi party music of the early 60s, and the obscure, raw garage bands of the late 60s. These late 60s bands (think “Louie Louie”) were really the first wave of groups to really utilize guitar distortion and feedback as components in a simple pop song, having been shown the way by the Beatles. And in the late 70s and early 80s, a second, new wave of bands re-embraced this aesthetic of pop primitivism. The Ramones, Devo, the B-52's, the Police, the Talking Heads and Elvis Costello all emerged during this period with a similarly simple and tightly wound approach to their music. So it is this type of musical approach that I'm craving right now, as pop-rock before the mid-80s is often surprisingly relevant, compared to most produced after. 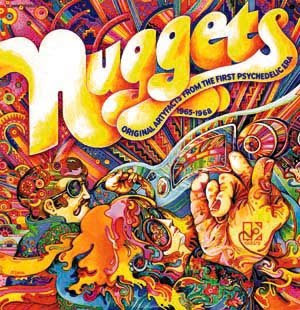 One excellent compilation for obscure and awesome 60's garage rock is the Nuggets Box Set: Original Artyfacts From The First Psychedelic Era 1965-1968. Almost every band on the 4-cd set is obscure and unknown. At its best it is essential and groundbreaking, at its worst its at least entertaining. It is all grungy and raw, but still really catchy in that 60's pop way. This set was originally released as a double-LP set in 1972, and played a role in influencing the bands that let up to and became part of the Punk and New Wave movement. The garage sound of these bands definitely rubbed off on bands like the New York Dolls, the Stooges before the Punk and New Wave generation embraced it. This made a pparent by the fate of the Strangelove's 1965 pop ditty “I Want Candy” (on disc 4), which was turned into a New Wave classic in 1982, when it was covered by the band Bow Wow Wow.